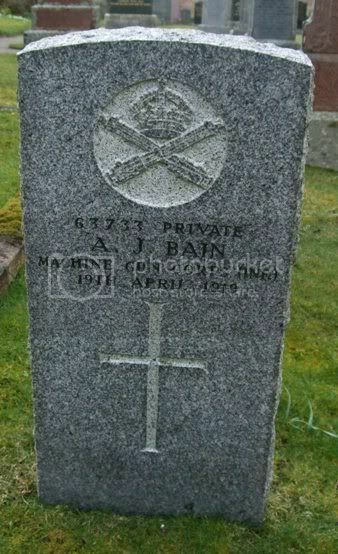 Location: The Cemetery of St Callan's Church on the A839. The cemetery is on the left beyond the church if you are approaching from Rogart. 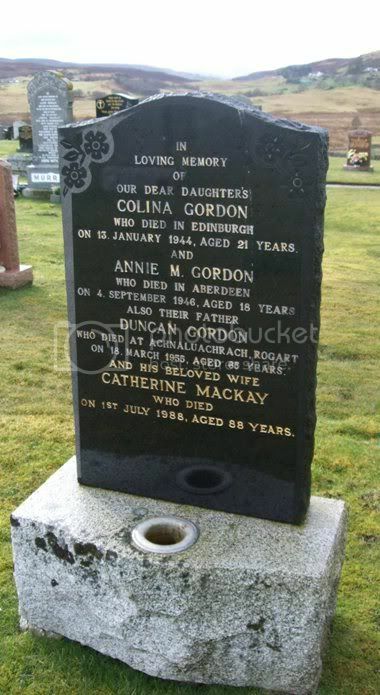 Additional information: Daughter of Duncan and Catherine Gordon, of Rogart. 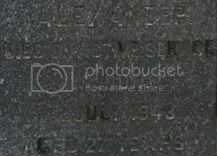 Grave/Memorial Reference: Plot S. Row S.W. 11. Grave 59. 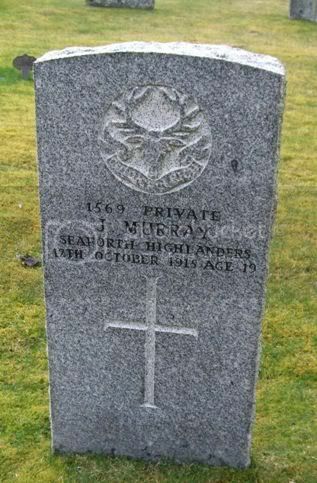 Additional information: Son of Agnes MacDonald, of Rhemusaig, Rogart, and the late Robert MacDonald. 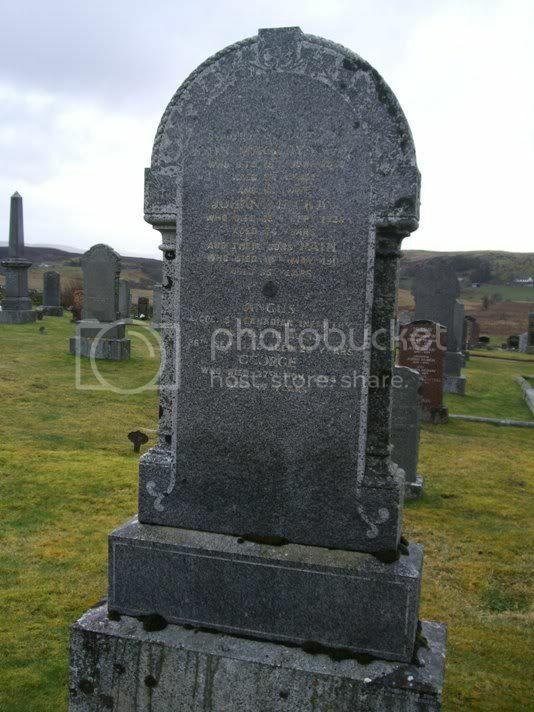 Additional information: Son of James and Isabella MacKay, of North Tannachy, Rogart. 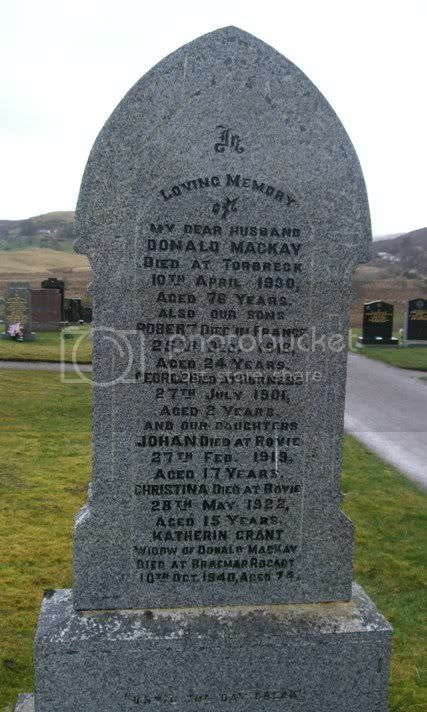 Additional information: Son of William Murray, of Little Rogart. 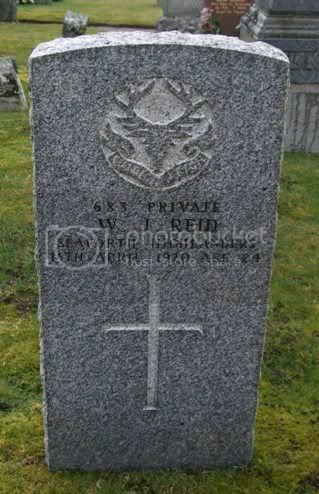 Additional information: Son of Mrs. C. Reid, of Skiag, Rogart. 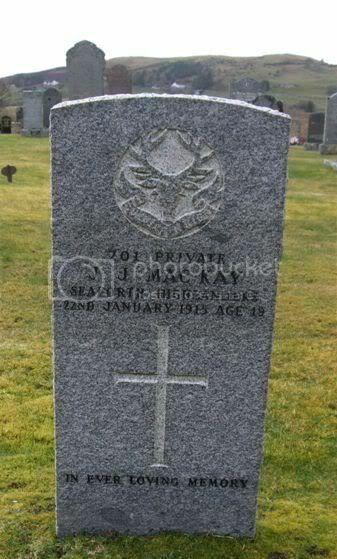 Additional information: Son of James and Maggie Gordon, of Leschangie, Kemnay, Aberdeen. Born at Rogart, Sutherland. Unit Text: 136 (Hy.) Wireless Sec. 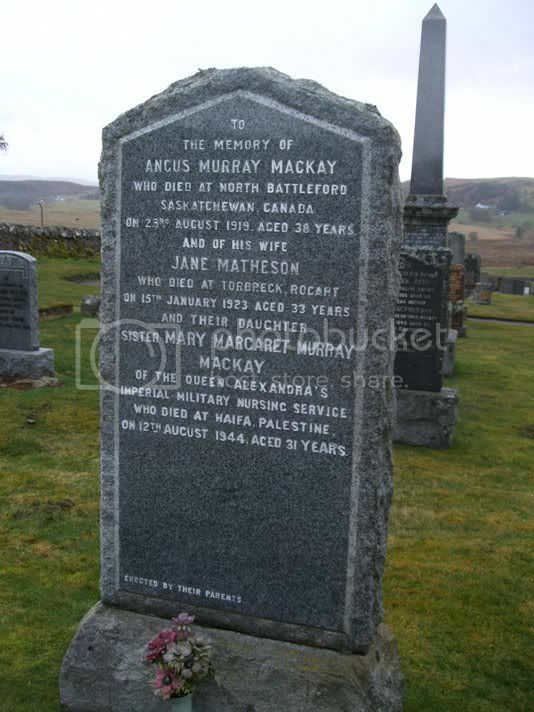 Additional information: Son of Neil and Marion Matheson Mackay, of East Langwell, Sutherlandshire. Grave/Memorial Reference: 4. K. 4. Additional information: Son of the late John and Johan MacKay. 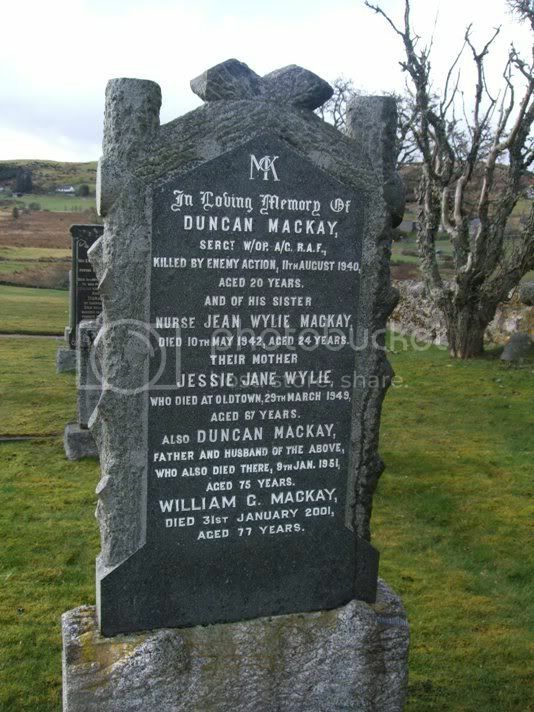 Additional information: Son of Duncan and Jessie Jane MacKay. 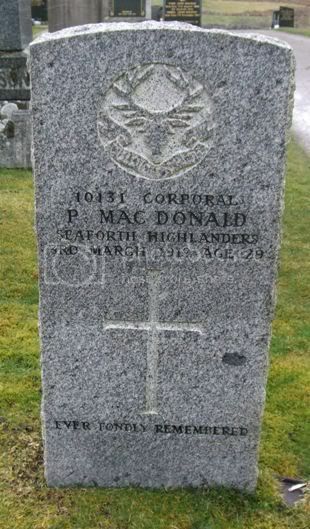 Additional information: Son of Donald and Catherine Mackay, of Woodside, Ronie, Rogart, Sutherlandshire. Native of Dornoch. Grave/Memorial Reference: O. III. B. 6. 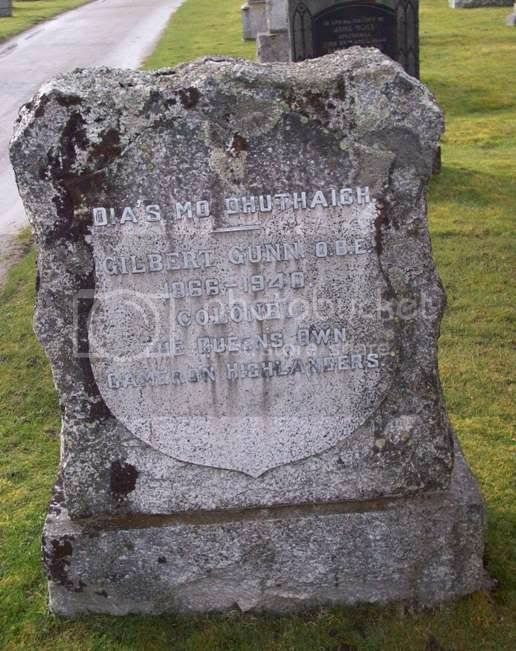 Gilbert Gunn, OBE 1866-1940, Colonel, Queens Own Cameron Highlanders. I was at this cemetery yesterday for a burial and it is a hard place to find. It is the Cemetery of St Callan's Church on the A839. The cemetery is on the left beyond the church if you are approaching from Rogart. Thanks for the update. I will edit the post above with the location details.